The TG272 series includes a telephone answer machine and offers a user-friendly 1.4 inch amber back-lit display and large buttons. With 20 hours talk time, up to 170 hours standby time and up to 50 phone book entries. This model also comes with a hands-free speaker phone function. 2 Handsets are included in this bundle pack. The Panasonic 272 series includes a 1.4-inch Amber backlit screen for easy to read, clear text even in the dark. It also includes large separated buttons on the handset and separate large telephone answer machine keys. Up to 50 names and phone numbers can be entered and stored. The phonebook allows you to make calls without having to dial manually. You simply search for the name and select the number you want to dial. The base station includes a built-in telephone answering machine that automatically answers and takes a message from the caller when you cannot answer the call yourself. A maximum of 18 minutes of messages can be recorded. 20 Hours Talk-Time - One full charge of the battery will provide a massive 20 hours of talking time before the battery will need re-charging. You can control the volume of the ringer with the six level control. You can also set the ringer volume to silent. The speaker in the earpiece of the handset can be set from four volume level options. If you like to keep your phone in the bedroom there is no need for a separate alarm clock. The Panasonic alarm function lets you set a one-off alarm time or a daily alarm time that will sound the same time each day. This model can be easily wall mounted, allowing you to free up space on your work surfaces or cabinet furniture. Screws are not supplied and will need to be purchased separately. For large houses or large families you can add additional handsets. 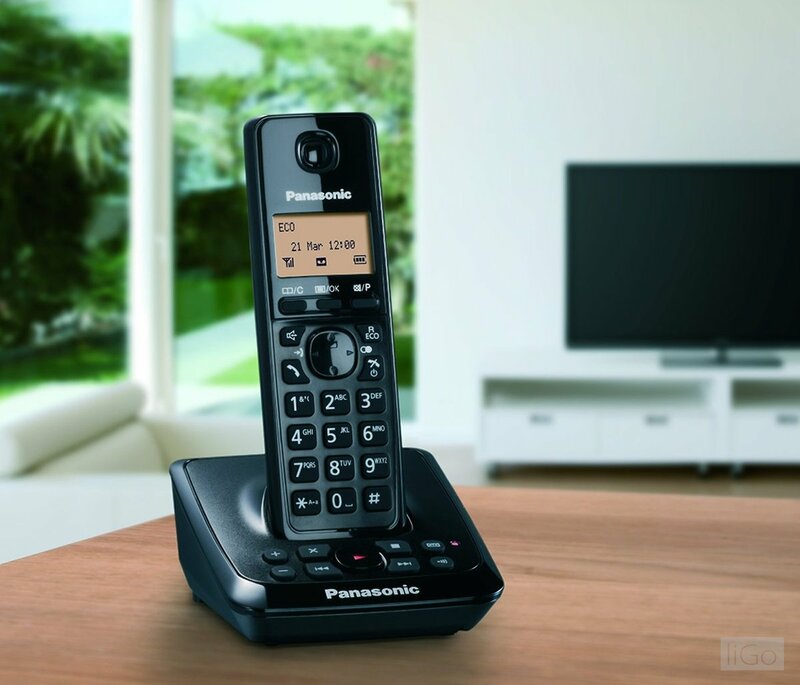 Up to six handsets (available to purchase separately) can be paired to the master base unit allowing every family member to have their own handset or allowing handsets to be placed conveniently around the home in different rooms. 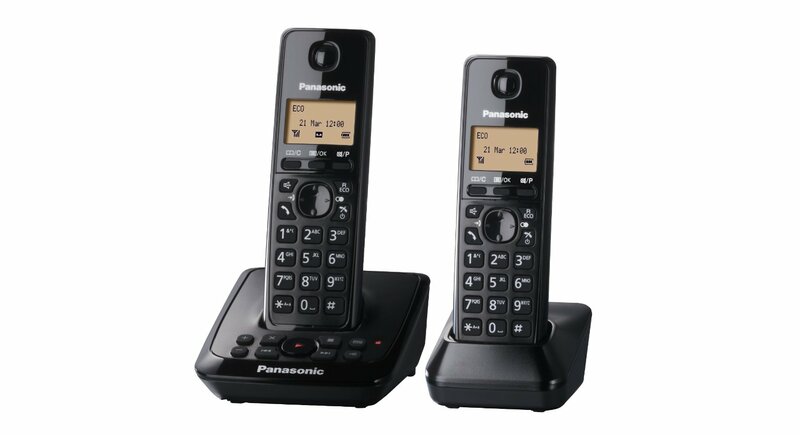 Note - additional handsets for the KX-TG27 series are not available for purchase, however, other Panasonic model handsets are compatible. This phone comes supplied with 1 base unit and handset + 1 additional handset and charger.